Jay Wright's life and career is as rich and diverse as his acclaimed writing. Known best for his books of poetry, Wright has also authored plays and essays. His work has appeared in a variety of publications from the Yale Review to Sports Illustrated. 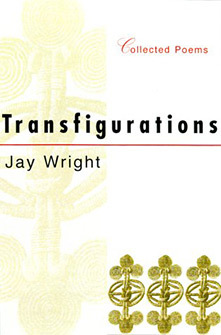 His latest work, Transfigurations: Collected Poemshas been called "nothing less than the great work of art." Wright has shared his writing talent with students all over the world through his many teaching appointments. He has held positions at 12 U.S. colleges and universities, including Yale University, Princeton University, Dartmouth College, the University of Cincinnati and the University of North Carolina in Chapel Hill, as well as the Butler Institute in Guadalajara, Mexico and Dundee University in Scotland. Wright's outstanding work has been recognized for more than 40 years with numerous awards and honors. Among the most recent are the 2001-2002 Charity Randall Citation, 2001 L.L Winship/PEN Award, 2000 Lannan Literary Award for Poetry and the 1997 D. Litt. (Honoris Causa) from St. Lawrence University. He was granted fellowship into the 62nd Academy of American Poets in 1996 and became a fellow of the American Academy of Arts and Sciences in 1995. Born in 1934 in Albuquerque, New Mexico, Wright received his bachelor's degree from the University of California in Berkley and his master's degree from Rutgers University in New Brunswick. He also attended the Union Theological Seminary in New York.